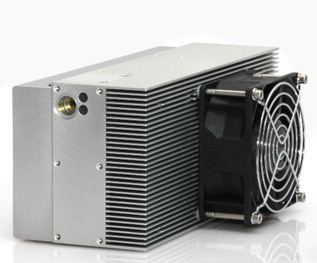 SOL is the most compact Q-switched DPSS nanosecond laser available in the 4W to 40W power range. 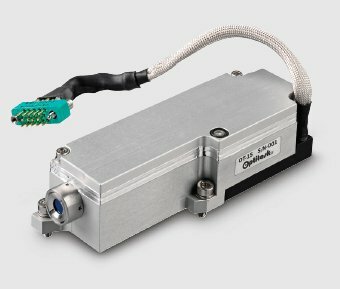 These air-cooled DPSS nanosecond lasers are offered in a rugged and lightweight single unit, designed to allow easy and reliable integration in micro-machining and marking applications. The SOL single unit design is based on a permanently aligned monolithic optical resonator integrated with 24 Vdc powered driving electronics. Cooling of the unit is provided by low noise fans. Due to the Single Unit design, optical fibers and other delicate cable connections will not be necessary for system integration. Compactness, insensitivity to environmental conditions and ease of handling guarantee superior operational flexibility and performance/cost ratio. The high peak power and the excellent beam quality of SOL lasers make them the ideal source for the most demanding industrial and scientific applications. The new electronic interface allows the user to integrate the laser according to the most recent safety standards for industrial machines (EN 13849) and to monitor the laser status through an RS232 port. A new version of the Control Box and a new proprietary Software Interface are available for simplified remote control and monitoring.